Arbor Terrace Cascade is a wonderful little community that provides lots of activity options and excellent care. The leadership team has longevity in their roles within the community which I found to be very important to the type of care provided to the residents. The community is very clean, appropriately sizde (not too large or too small) and provides a memory care neighborhood. The memory care neighborhood is secured with it's own staff and activity director. The memory care neighborhood was very calm, the residents were not agitated or walking around aimlessly within the community. I would recommend this community to family and friends in need of a senior living community. The best way to get to know a community is by scheduling a tour. See the facilities, meet the staff and residents, and get a feel first hand what it's like to live at Arbor Terrace at Cascade Assisted Living. The Arbor Terrace at Cascade, Georgia inspires you to get more out of life. Offering assisted living, we present a supportive environment with meals, housekeeping and delightful activities within a wonderfully plush community. As part of The Arbor Company we are dedicated to making senior living the absolutely best it can be at our more than 20 residences. We are a community of caregivers with the singular purpose of engaging and enriching the health and spirit of each and every resident. Our method is simple: We listen. We respond. We care. Those visiting Arbor Terrace at Cascade remark how much it is like stepping into a resort. With the luxurious, yet organic embellishments, soft comfortable lighting, well-tended grounds and modern build, we have created an environment that residents are happy to call home. We offer an assortment of apartment homes, each with carpeting, window treatments and stylish fixtures. Residents enjoy three delicious chef-prepared meals each day, served in a communal dining room amongst friends. Our wellness center gives access to a variety of health services right on site. Meanwhile, our salon and barber shop provides a place for both ladies and gentlemen to be pampered with a new hair-style or manicure. And if things get too hectic, settle down with a good book in our library or retire to our club room to relax with a cup of coffee. Whether you're just ready to give up the chores of yard work and home maintenance or need a more security and support to maintain your independence, the caring staff at Arbor Terrace at Cascade is there to serve you. Regular housekeeping and linen service will take care of mundane essentials, freeing you to enjoy the finer things in life or a simple game of pool. We create a personal care plan, listening to contributions from the resident as well as family members and physicians. Combining personalized activities lovingly designed to meet resident interests with proactive support such as medication management and assistance with activities of daily living, we deliver comprehensive wellness. 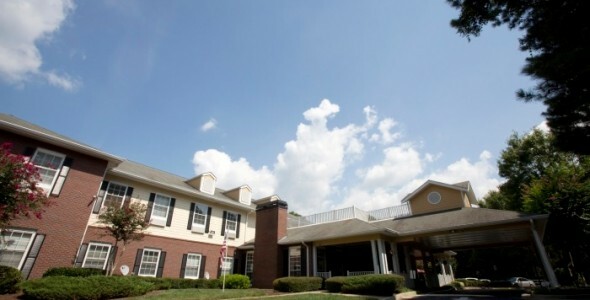 We encourage you to visit us at Arbor Terrace at Cascade, where you will experience only the best in assisted living!